I have been trying a few beauty stuff for the past few weeks and here's one of them - Diamond V Fit Mask. 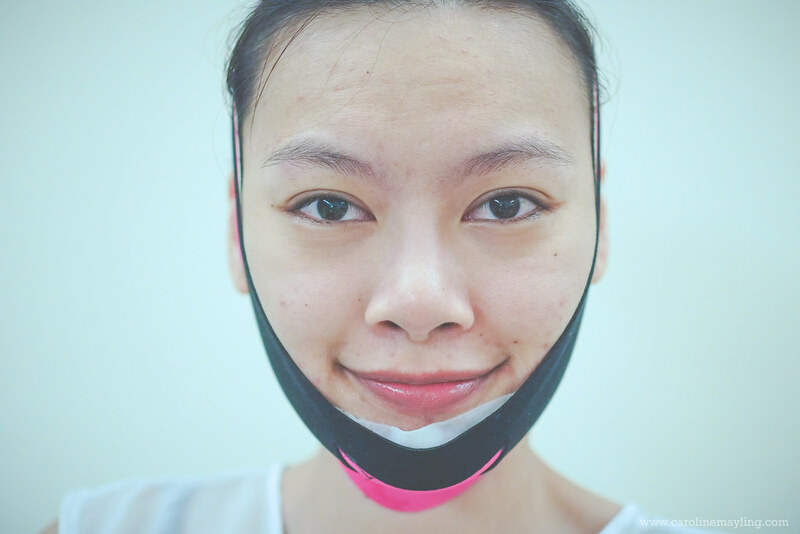 It is the latest Korean V-Shaped facial combination with V-Fit mask and slimming band. It has a special pressure leading-in technology that allows BodyFit™can be absorbed efficiently into the cheek area. It claims that this mask not only helps in lifting up and firming the shape of your face but also promoting facial blood circulation and burning up extra fat on the face to remodel a V-shaped face. The Diamond V Fit Mask trial pack consists of a V-Fit Mask, Slimming band and a measuring tape. Of course, the normal packet consists of 5 V-Fit Masks together with the slimming band and a measuring tape. I really tempted to give this a try because it is highly recommended by popular TV shows in Asia and has gained unanimous praise among celebrities. Most importantly, it is a safety treatment without irritant component and approved by KFDA. Cleanse and dry the face thoroughly. Measure length of your chin area with the measuring tape. Take out and unfold the V-Fit mask sheet. 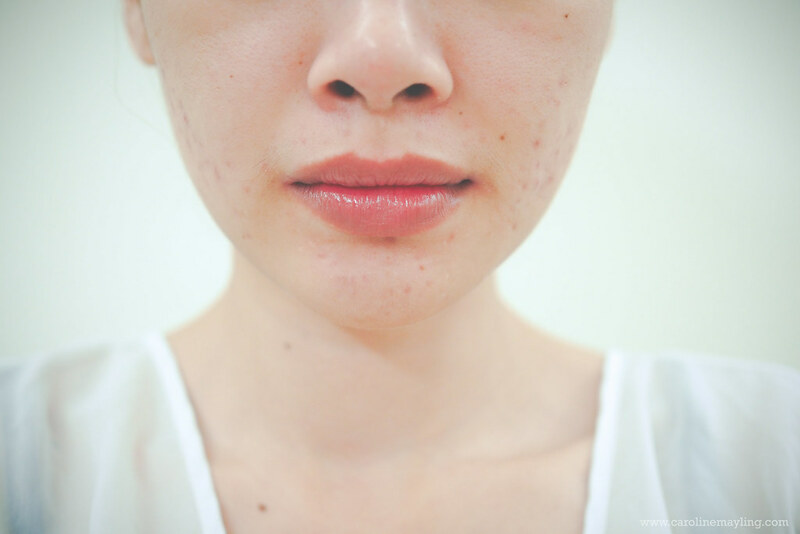 Apply it on the face, larger parts on the cheeks and smaller parts around the upper neck. Wear the slimming band and fix it under the chin. Colored part for the outside. Tighten the slimming band and adjust each hole for ears. Pull and fasten the head strap up and over the top of the head and fasten firmly. 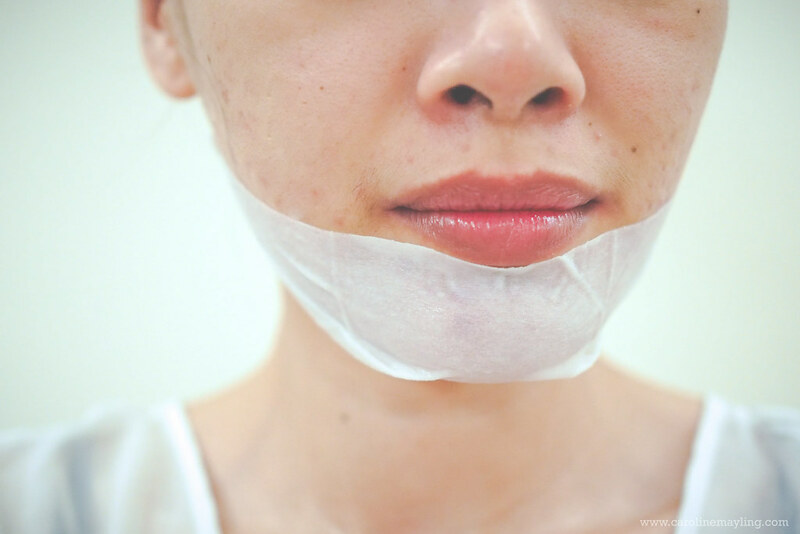 Wait for 30-40 minutes, peel off the mask slowly from the edges. Massage the jaw and neck area gently until the essence is fully absorbed. 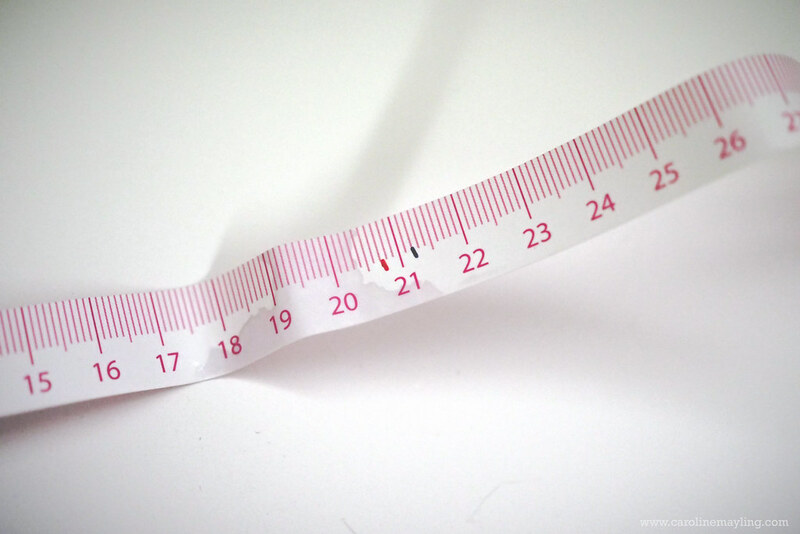 Measure result with measuring tape. ** The process should be repeated every other day for a week to achieve a better result. Suitable for all skin type. I would say it's pretty easy to put it on. However, prepare for the warm sensation throughout the process. It can be quite uncomfortable with the tight slimming band together with the warm sensation and it somehow itches my skin too. I couldn't bear with the warm sensation and took it out after 20 minutes. I guess this is just for the first time experience only. The BodyFit™Essence help to defense against problems such as double chin and round face, whilst the Q10 Coenzyme help to reduce the appearance of deep neck wrinkle on the neck. I do not have any chubby cheeks but I must say that this mask did makes my entire face feature more definition with the V-shape feature. Look, I have a sharper chin here! I also did the measurement for before (blue) and after (red). Though it didn't show any significant result, but for my kinda slim face feature, it does works wonder! It is not permanent but I guess this is definitely a perfect cheat on getting instant V-Shape face for your special event! 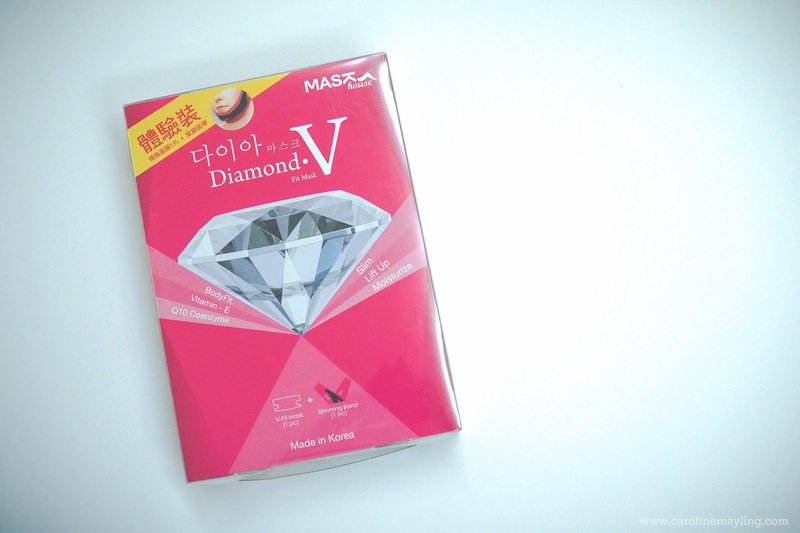 Purchase Diamond V Fit Mask at discounted price (RM85.20 instead of RM121.70) on HiSHOP Malaysia now! Really amazing lifting mask!~ Diamond standard.. Fui yoh! This is going to sound weird, but that looks like a face bra. Gonna buy this to have better face shape. dear you look great even without make up. miss ya. wow! this facial mask so cool...can create v shape face :) I wanna it! Wow the mask look so canggih. I have not try it yet, hope to try it soon. I wish to have that V Shape face too. i love how beauty products have improved. these days there's also the instant lifts for that V chin...nice especially on water retention days when we can look a tad bloated on the face.